DAVOS, Switzerland - In any discussion of the Middle East at the World Economic Forum here in Davos, the central figure is a man who isn't even here: President Barack Obama. Obama's first moves are being greeted with vast relief by a broad range of players in the region. There's also a whisper of hope that a serious American peace effort by Obama just might transform the Middle East, with the most promising route passing through Syria. President George W. Bush's problem was that he loved Israel too much. He embraced Israeli leaders even when they responded to provocations by killing more than 1,300 people in Gaza, according to Gaza health officials - in retaliation for shelling that had killed fewer than 30 Israelis since it began in 2001. This tilted policy was catastrophic for Israelis as well as Palestinians, for it undermined any chance of a peace agreement that is Israel's best hope for long-term security. Now we're starting over. The way Gaza has raised tensions was evident in a panel discussion in Davos on Thursday when the Turkish prime minister, Recep Tayyip Erdogan, complained furiously that he wasn't given enough time to respond to Israel's president, Shimon Peres. Erdogan then stormed off the stage and threatened never to return to Davos. Those pyrotechnics overshadowed a much more positive undercurrent here - enthusiasm for more American engagement in the region, in a more evenhanded way. Ban Ki-moon, the U.N. secretary-general, told me he was "very encouraged" by Obama's first moves, such as appointing George Mitchell as special envoy. "It's high time for the Americans to take a bold initiative," he said. Tony Blair, the former British prime minister, praised Obama's "good start" on the Middle East. Hoshyar Zebari, the Iraqi foreign minister, joined the praise and added: "There is an opportunity. I hope this opportunity will be exploited to the limit." Amr Moussa, the head of the Arab League, declared, "There are prospects of the U.S. returning to the role of honest broker, which we missed." That view seems widespread here, and is shared by many in Israel, as well. "You have a complete breakdown of trust: 'It's my toy!' 'No, it's my toy!'" said David Rosen, the former chief rabbi of Ireland, now based in Jerusalem as head of interreligious affairs for the American Jewish Committee. "We need someone who can move the parties beyond their own pain and vulnerability." That means Israel must lift the siege of Gaza, completely opening the crossings. If Hamas resumes its unconscionable rocket attacks on Israeli civilians, then bomb the tunnels or strike Hamas targets in a proportional way, but don't escalate. Obama also should insist on a complete halt of settlement activity on the West Bank, and on an easing of the West Bank checkpoints that make life wretched for Palestinians. All that also would bolster moderates in the Palestinian Authority, making an eventual deal more likely. Second, the United States should focus on a peace deal between Syria and Israel. With a Palestinian deal impossible for the time being, the path forward is to try to peel Syria away from Iran. If that strategy succeeded, Iran's subversive influence would be reduced, Hamas might be moderated, and there would be momentum for further gains. Turkey has been mediating talks between Syria and Israel, and Erdogan said those talks had been making great progress. "We were very close until the Gaza events," added the Turkish foreign minister, Ali Babacan. That peace effort must be revived with strong American participation. Most of the elements of the Israel-Syria deal were agreed upon years ago, and one of Syria's main aims is better relations with the United States. That is something the Obama administration can provide. Ban has been conducting his own relentless shuttle diplomacy in the Middle East, and he said he was hopeful after recent conversations with Syria's president and Israel's prime minister. All this is a long shot, of course. But Obama knows something about long odds coming home, and few people have made money betting against him. 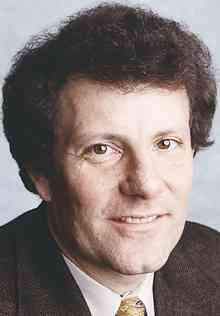 Nicholas D. Kristof is a columnist for The New York Times. Reach him c/o The New York Times, Editorial Department, 229 West 43rd St., New York, NY 10036.